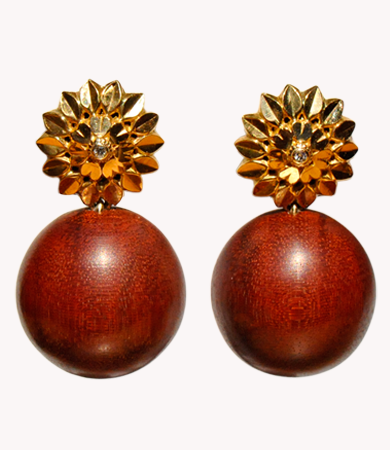 18k and 22k yellow gold and pernambuco wood earrings, with two Swiss cut diamonds of 0.02 carats each. The Amsterdam Collection. Signed with 3 St. Andrew's Crosses, the insignia of Amsterdam. Numbered: E8. The Netherlands, recent.